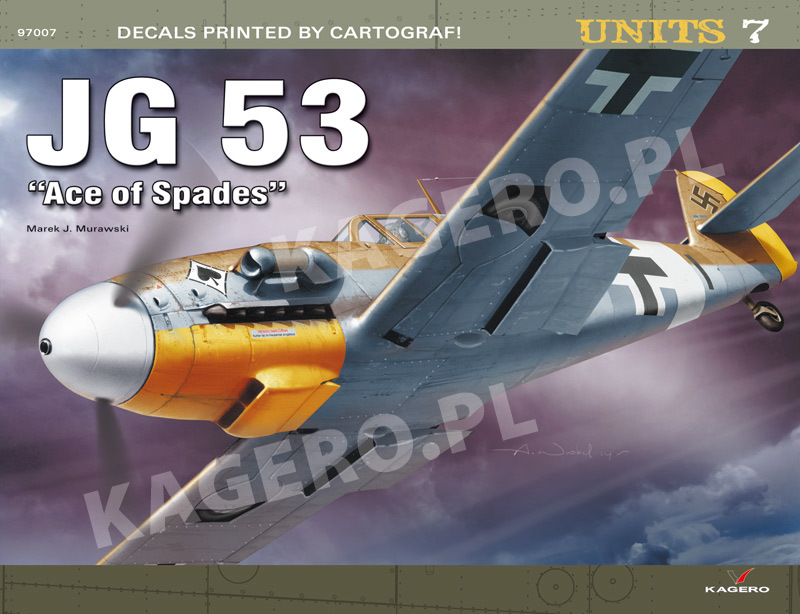 UNITS 07 - JG 53 "Ace of Spades"
- Messerschmitt Bf 109 G-4 trop; W.Nr. 15013, 'Black 16', flown by Lt. Ulrich Seiffert of 8./JG 53, Sciacca airfield, Sicily, late April 1943. 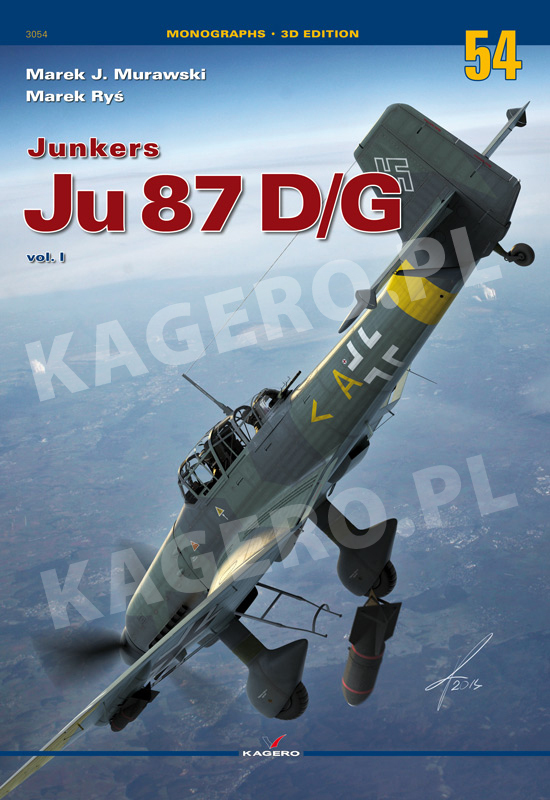 This monograph of the most famous dive bomber of World War II focuses on the design and combat operations of the late marks of the Stuka: the Ju 87 D dive bomber and strike aircraft and the Ju 87 G tank buster. 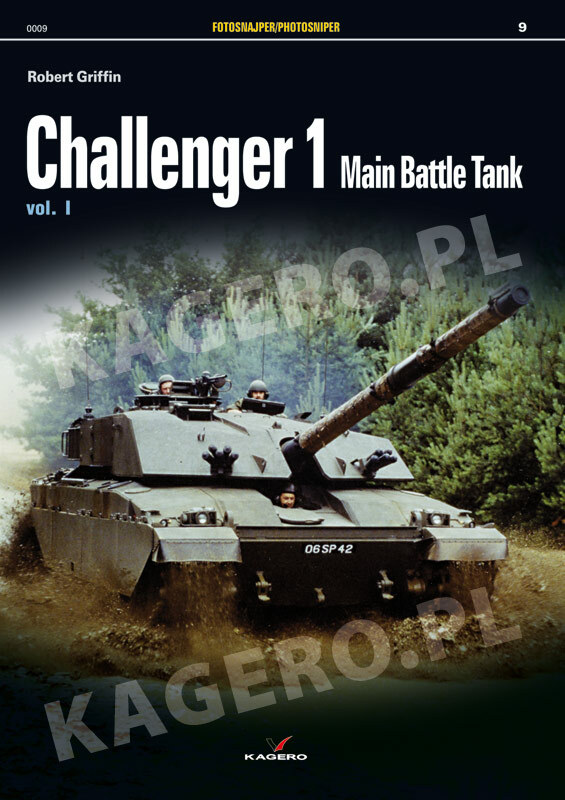 In addition to the detailed description of the design, the book covers combat operations of the Luftwaffe units equipped with the D and G models, as well as the biographies of the most prominent aircrews who flew those aircraft in combat. The text is supplemented by archive photographs and 3D drawings showing details of the design. A4 size, 112 pages, 110 archive photos, 77 3D renders, colour profiles, 4 A4 sheets of scale drawings. A4 size, about 80 pages, 280 photos, scale drawings. A4 size, 92 pages, 21 archive photos, 100 colour 3D renders, 80 drawings. 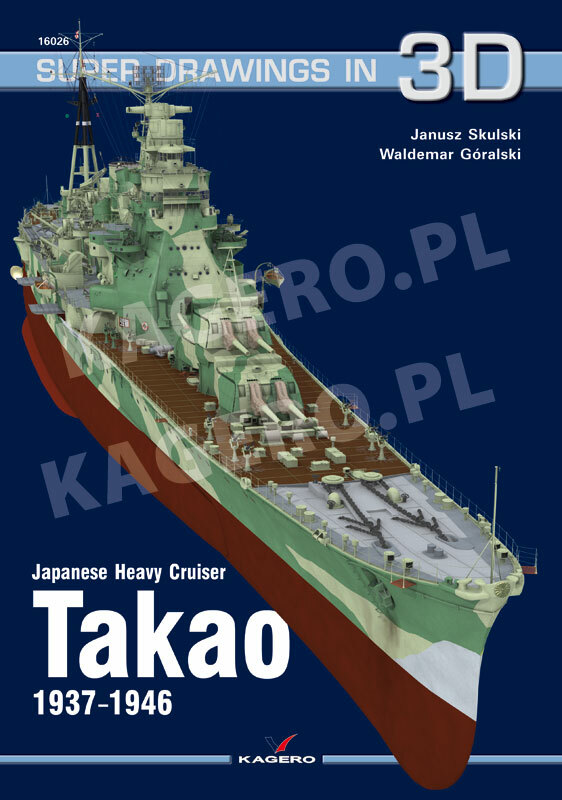 All of these books are available from the Kagero site but they are now available from their distributors Casemate Publishing and MMD Squadron as well as other retailers in various countries.